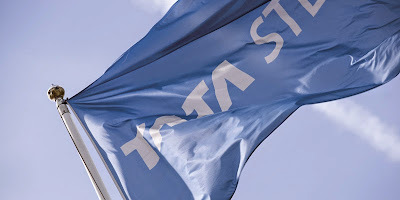 rotherham business news: News: Tata Steel warns of continuing "headwinds"
News: Tata Steel warns of continuing "headwinds"
Indian-owned steelmaker, Tata Steel has used its latest financial results to warn that continuing cheap imports risk undermining Europe's steel industry. Last month, the company announced a restructure of its speciality and bar business to focus on high-value markets such as aerospace - a move that has put 720 jobs are at risk, many in Rotherham. Tata Steel said that the bar business in Rotherham has been "underperforming in the face of commodity-grade steel being imported to the UK due to the strong pound and high electricity costs which are more than double those of key European competitors." Talks over a deal for the company's struggling long products division ended recently and the business has now become a standalone subsidiary. Bosses believe that the moves will better enable the remaining businesses to increase focus on their added value product and service portfolios away from higher volume, commodity production. In its financial results for the quarter ending June 30, Tata Steel said the surging EU imports, especially from China, and, in the case of the UK operations, the appreciation of sterling against the euro, led to lower turnover and profitability (EBIT / earnings before taxes). European operation reported a pre-tax operational loss of £13m, compared to a profit of £30m in the previous quarter and of £17m in the same quarter of the last financial year. Turnover was £1.84 billion for the quarter, down 11.1% on the £2.07bn reported for the previous quarter and down 10.7% on the £2.06bn in the same period of last year. Karl Koehler, chief executive of Tata Steel's European operations, said: "Market conditions have worsened this year. Our strategy to focus on customers and develop differentiated steel products have helped us stabilise our realisations. We have made good progress in building a comprehensive portfolio of advanced steel products. We are now shifting focus towards optimising sales of these products and towards the development of next-generation steels. "European steel demand is increasing modestly. But imports have grown much faster in recent years and risk undermining Europe's steel industry. Imports from China, in particular, have grown at an alarming rate – hot rolled coil shipments from China have been arriving at more than three times the volumes of 2013 – adversely affecting international steel prices. "Surging imports constitute a threat to European steelmaking. Uncompetitive energy costs and the strength of sterling are hurting our UK operations. These three factors caused our first quarter financial performance to deteriorate, despite our more stable production platform as seen in our improved operating performance." The company said that it is combating these headwinds by progressing its market differentiation strategy, improving its cost base and shifting focus increasingly from volume to value.